Learn how to make a magic wand of your very own! Many people ask me for an edge or tool that helps them increase the power of their magick and I always answer the same way! And that is by using a magic wand! Also, do not buy a magic wand unless you feel a strong natural bond for it when you see it. The best results come from learning how to make a magic wand yourself. Most practicing witches and wizards have several different magic wands which are then used for the different kinds of spells they are casting. Should you buy or make a magic wand? Thanks to the feelings and emotions when crafting a magic wand as well as the way in which you make it, each handcrafted wand will have its own significance and areas of special power. For example, health, love, and money. Having and using your own magic wand will increase the potency of your spells, and bring you better results simply because you will be able to unlock so much more of your magical energy potential and then naturally direct it more effectively towards your goals and desired outcomes. And don’t forget the added bonus – they are always a heap of fun and excitement to make! In getting started, your wand can come from the most basic piece of timber or wood. You can pull a twig off a tree or get one that is already fallen off onto the ground. After all, we don’t want to damage the tree too much in pulling off a heap of unnecessary branches! You can choose to search for wood or twigs that are made of your favorite wood or look for something that is more suitable for the spell work you have in mind. A magic wand does not have to be clean and smooth. Additionally, it does also not have to be a knotted up and gnarled old piece of wood “with character.” Just look for something that looks magical, something that you just like the look and feel of or even perhaps something that you are drawn to. The length is also up to you but most of my magic wands stick to about the thickness of your finger, tapering off to a point and around 10 inches long. Do what feels right for you however. Once you have selected the raw material of your magic wand it is time to take it home and get it ready for magic! It first needs to be nice and clean. Get rid of any mud clumps, dirt or loose scraggly bits of bark and knots unless you feel they add to the character of your magic wand. Smoother wands are the norm. Most witches, like myself actually strip off all the bark and then go a step further, sanding it down. A nice touch is you have the skill is to burn, write or carve some patterns, signs or symbols that are important to you into the magic wand. Furthermore, some additional personal branding such as the name of your chosen Goddess or Rede, your actual witch name or even some corresponding runes always looks good and adds that personal and intimate touch. The magic wand then needs to be blessed. Use a selection of incenses, enchanted water and oils to bless and anoint the wand. Depending on your chosen magical purpose, you will use different elements to enhance certain properties of the wand. Dress it up! Add some pieces of ribbon or string, stones, charms and even some small gems or hand me down rings on the handle or the tip. Finally, to bring your magic wand to life, give it a name to complete the process. There are a few different ways that you can use your newly created magic wand. 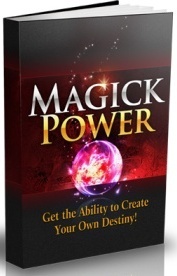 Simply hold the wand while you are casting the spell to help you emphasize and focus on the words your are speaking. You can also use it as a beacon to help you summon your Goddess or spirits to your alter or to assist you to visualize channeling your energy into objects. At the end of the day, let the magic go through you and use your magic wand however it feels right. Magick is so personal and requires you to fully give in to the universe so just let it flow and let the magic wand guide you. Now you have learned how to make a magic wand, go out there and do it! Once you have your hands on a wand that is special and unique to you, take a look at some amazing real spells that really work like spells to become a vampire by clicking on the image below. PS: Don’t forget for more power, don’t buy one, make a magic wand!